What basic substances make up the world we live in and how do they interact? These are just two of the fundamental questions that chemistry attempts to answer and which you will explore in this fascinating course. Studying from home in your own time, you will study for about 200 hours before entering the exams as a private candidate. This course will prepare students for further study in Chemistry or help provide the basic scientific knowledge for a wide range of other professions such as teaching, nursing or midwifery. 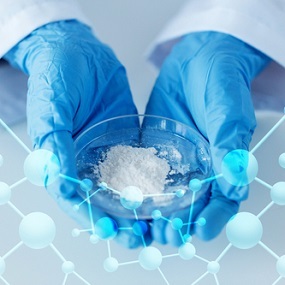 The Oxford Open Learning international GCSE Chemistry course is designed to follow the structure of the Edexcel 4CH0/4CH1 specification and is divided into six modules, as follows: Module 1: Introducing Chemistry Module 2: Chemical Investigations Module 3: Chemical Patterns Module 4: Chemistry in Practice Module 5: Organic Chemistry Module 6: Chemistry Calculations The course enables students to develop a range of scientific skills as they work with diagrams, graphs, statistics, photographic images and online media. Online Students should have internet access to carry out some of the research and lesson activities. Oxford Open Learnings international GCSE Chemistry course is designed to prepare students for the Edexcel International GCSE in Chemistry (4CH1). Paper 1: 2 hours, 61% of overall marks. Paper 2: 1 hour and 15 minutes, 39% of overall marks. Oxford Open Learning has teamed up with the award-winning Twig video site to provide access to online chemistry resources, specifically filmed to support GCSE level studies. Each Chemistry IGCSE student will get a free login to be able to view the entire Twig world range incorporating thousands of short educational videos. Throughout your course, you will be referred to specific videos to support your learning An annual subscription to Twig world videos would normally cost £99. 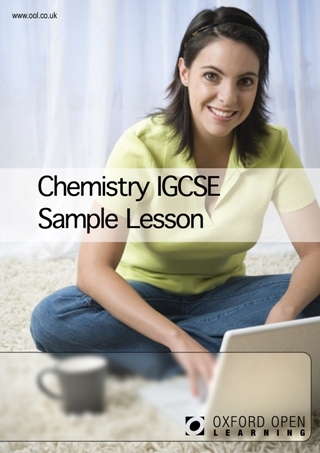 What's the difference between GCSE and IGCSE Chemistry? The international GCSE Chemistry is of the same level as a GCSE and is examined by Edexcel, one of the UKs most trusted examination boards. A key difference is that IGCSE Chemistry does not include practical course work, making it convenient for distance learners. The Chemistry International GCSE qualification is accepted as at least the equivalent of GCSE in UK sixth form colleges, FE colleges, universities and other HE institutions. 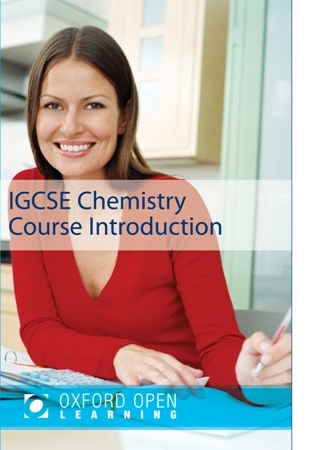 How much does the Chemistry IGCSE course cost?